SoilGuard™ was used on this Hawaii DOT project, the first of its kind in Hawaii. 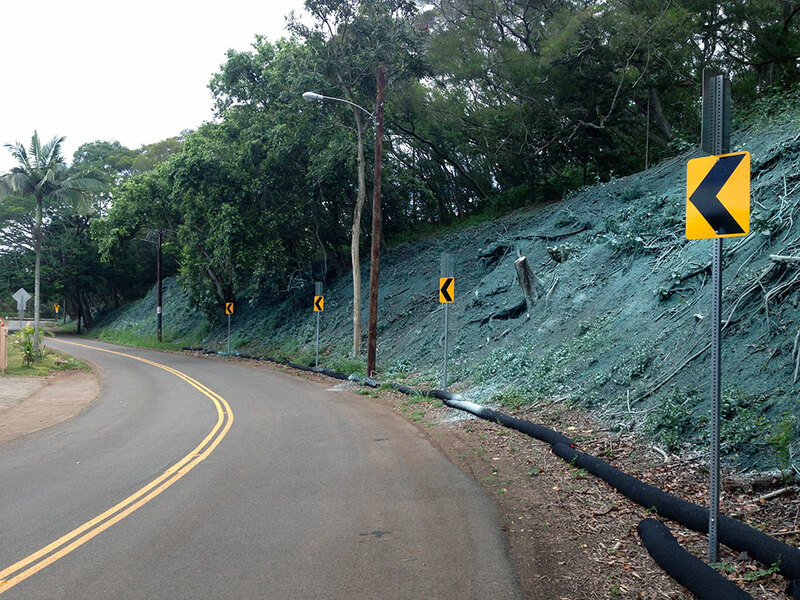 The Helemano Roadside Improvement project (shown above) was the first Bonded Fiber Matrix (BFM) project performed under contract for the State of Hawaii D.O.T. Following this successful job, the State began specifying BFM products to replace traditional Erosion Control Blankets. Hundreds of thousands of our taxpayer dollars have since been saved by using this state of the art technology.